Village Natural | There is no sincerer love than the love of food." Today I decided to go to the West Village for some good vegan brunch.. So I hit Village Natural- a cozey restaurant offering sandwiches, salads, asian, italian,pitas, and a great brunch! They have a little bit of everything here. Most things are vegan but they do serve eggs for brunch ( if you have a friend who isn’t vegan) and also some seafood. I was torn today deciding if I should get a sandwich that sounded great or go ahead and do brunch.. I decided on brunch…. 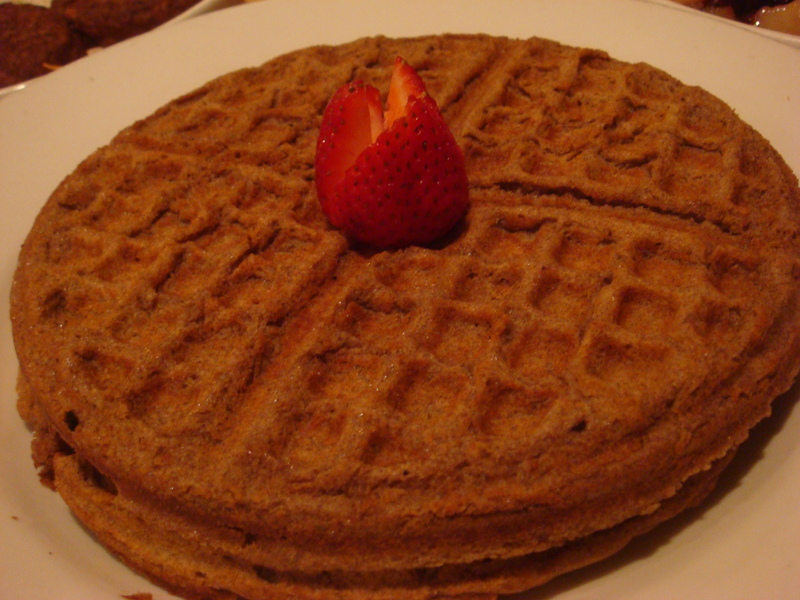 I decided to get the ” Buckwheat Waffles (2)” ($7.50) crisp, thin hearty, grainy waffles served with organic vermont Maple Syrup. Im not really to big on sweet tasting things as a main course generally but these were calling my name..seeing as buckwheat is so healthy for you! Im glad I ordered these absolutely scrumptious! 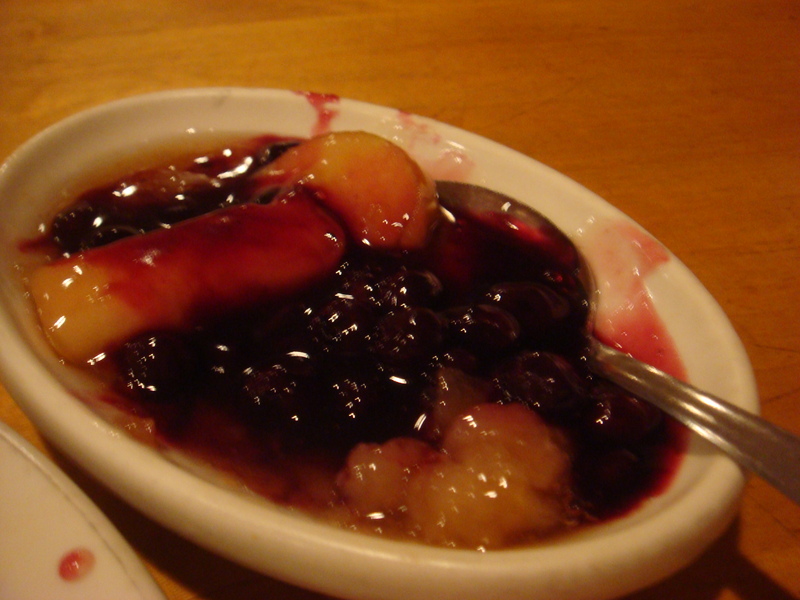 As a topper for my waffles I ordered “Apple/Blueberry Fruit Sauce” ($2.95) a mix of fresh Apples and Plump Blueberries cooked in natural sweetness” I love apples and blueberries and these were fantastic. Pouring this luscious fruit over the waffles was a piece of Heaven. 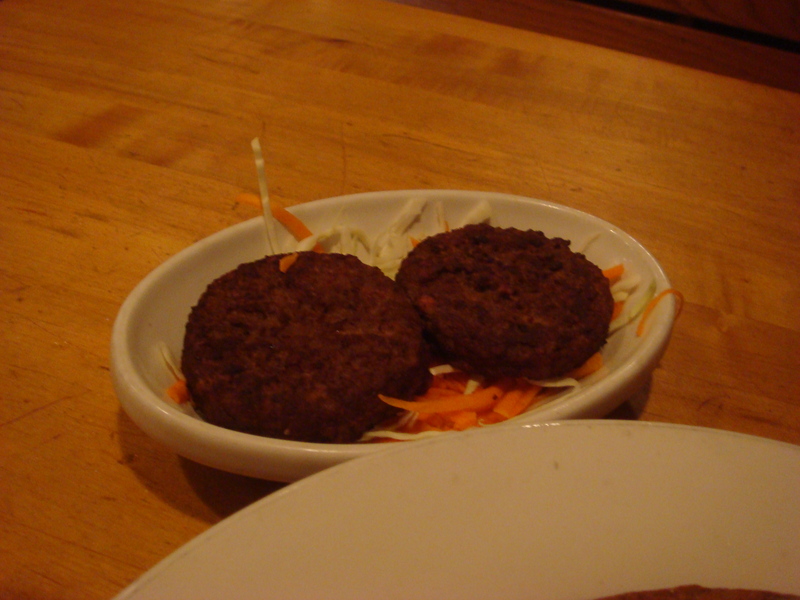 I also got a side of the “Soy Patties” ($2.95) Simple put a little protein over some shredded cabbage and carrots. These were cooked to perfection crisp on the outside with a nice bite of soy. yummy! 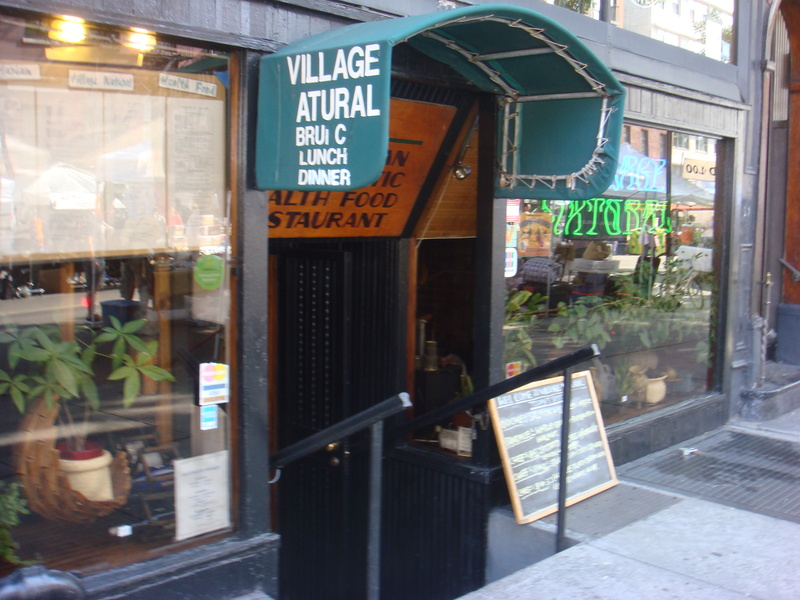 I really enjoyed Village Natural.. It’s a great place in the West Village with a lot of different options and varieties of healthy food to eat! So check it out:) Eat Clean and Healthy!